Snow Patrol Biography, Discography, Music News on 100 XR - The Net's #1 Rock Station!!! This Alternative-Rock Pop-Rock band formed in Dundee, SCOTLAND, in 1997 when three Belfast-born students, singer + guitarist Gary Lightbody, bassist Mark McClelland and drummer John Quinn, decided to start playing music together. Snow Patrol became the second band to sign to fledgling label Jeepster, at that time better known as the home of Belle And Sebastian. 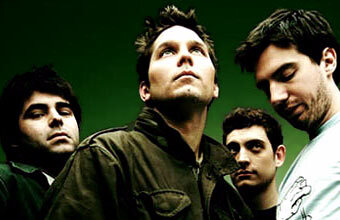 In August 1998 the guys released their debut album, "Songs For Polarbears", which included two singles: "One Hundred Things You Should Have Done In Bed" and "Starfighter Pilot". After graduation, they move from Dundee to Glasgow and tour the first record. Another album, "When It's All Over We Still Have To Clear Up", followed in April 2001, but by now the relationship between the band and Jeepster was fraying, a parting of the ways was imminent. The band were subsequently snapped up by Polydor imprint, Fiction Records and dropped into the studio with an extra guitarist, Nathan Connolly, to cut their third album, "Final Straw"; the CD crashed into the top 3 of the British Albums chart upon its September 2003 release and in early 2004 peaked at #1 on the Billboard Magazine's Top Heatseekers list; this record included the big hit "Run", which rose to #4 on the U.K. Singles chart and peaked at #15 on the U.S. Modern Rock Tracks propelling the album to #91 on The Billboard Top 200; "Final Straw" also spawned two mid-sized hits, "Spitting Games" and "Chocolate", both cracking the top 30 in Britain and the top 40 of the Billboard's Modern Rock airplay chart. 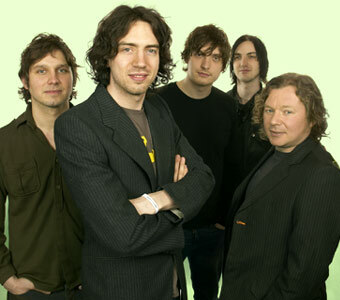 In spring 2005 Snow Patrol hired a new bass player, Paul Wilson, two weeks after former bassist Mark McClelland was fired after tensions; the band also declared longtime touring keyboardist, Tom Simpson, an official member of the group. With a lifetime of experiences accumulated over the years, including touring with U2 and playing at Live8, Snow Patrol released their fourth studio record, "Eyes Open", in May 2006; it became the band's first U.K. #1 album and eventually crawled up to #27 on the American Billboard 200 chart. "You're All I Have" was the first single to be lifted from the CD going straight into the U.K. top 10, reaching the #27 position on the U.S. Hot Modern Rock Tracks and setting the stage for the massive smash "Chasing Cars", this single rose to #5 on The Billboard Hot 100 and hit #8 on the U.S. alt-Rock radio chart; a third single, "Hands Open", nearly made The Hot Modern Rock top 20. One year later they provided a song, "Signal Fire", for the soundtrack to the blockbuster movie "Spider-Man 3"; the track debuted in the British Singles chart at #4 and reached the #65 position on The Billboard Hot 100. Snow Patrol released its fifth album, "A Hundred Million Suns", in October 2008; the windswept, electronic-tinged rocker "Take Back The City" was chosen as first single, it quickly bulleted into the top 10 in U.K. and into the top 40 of The Hot Modern Rock chart.